Partners were assigned, beads were sent, and designs were created. 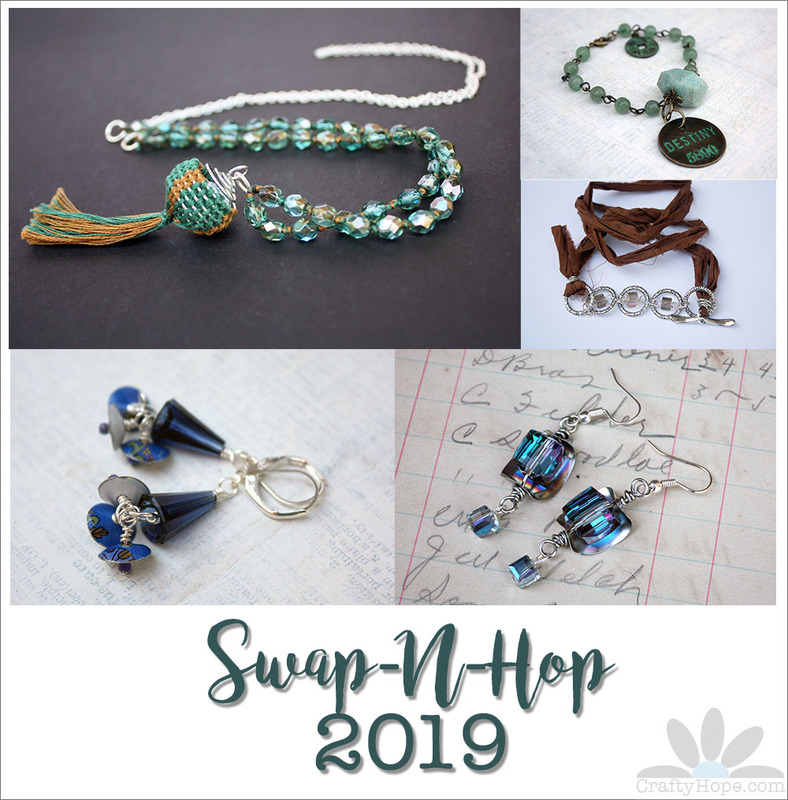 Now, it's time to reveal what was made for the 2019 Bead Peeps Swap-n-Hop. Ah, but first, let me remind you what my partner, Bonnie Robbins of Wire + Wonder, sent me. It was a lovely mix of stone, glass, crystal, and silver bits. You can see what I sent her at the bottom of this post. The wire cage pictured above was the artisan component (created by Bonnie) that I was required to use in at least one of my designs. Since this was the case, it's where I chose to begin. But, that cage posed such a challenge to me that I must admit it took me a while to get started. I felt like the openness of the structure wasn't chunky or heavy enough to be the focal piece of a necklace, but was also too large to be a bracelet charm. Somehow I needed to alter it to suit my needs and style. After much thought, I hit upon the idea of weaving on the bars of the cage to make it feel more substantial. I used the tails of the weaving also to create a tassel and give the pendant more length. 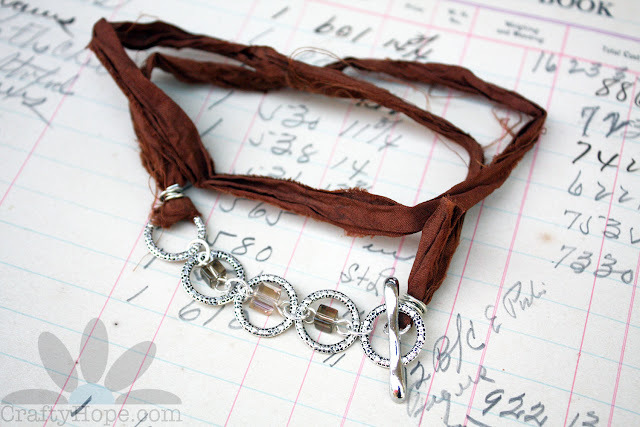 To add a little heft to the pendant, a stone bead was slipped into the cage so that it would have weight to hang well. The chain of the necklace was created with more of the same embroidery thread and the aqua luster Czech glass beads that Bonnie sent. I actually had some of these in my own stash to add to the mix and lengthen the necklace. I simply knotted between each bead. 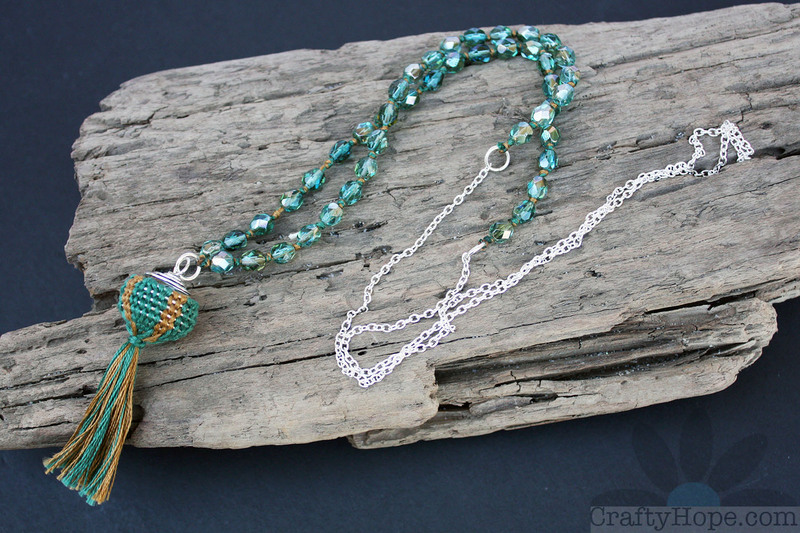 When all the beads were used, I added jump rings and silver chain to finish the necklace. I'm quite pleased with how it all came together. I recorded my process of weaving on the wire cage, creating the tassel, and making the chain; if you're interested. You can always come back later and watch, I know it's a lengthy hop list! 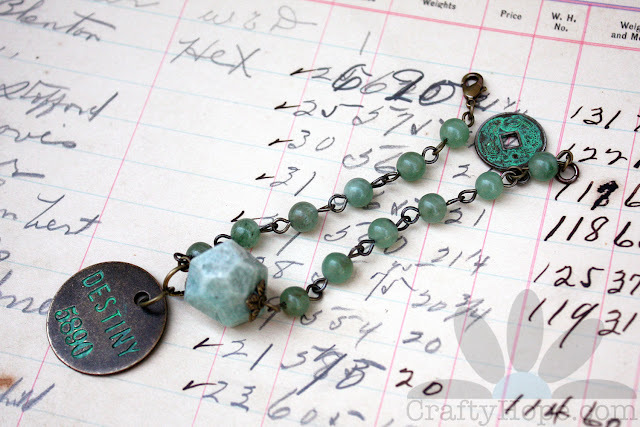 I found the "Destiny" and Chinese coin charms in my stash and altered them with a little jade-colored Vintaj patina. 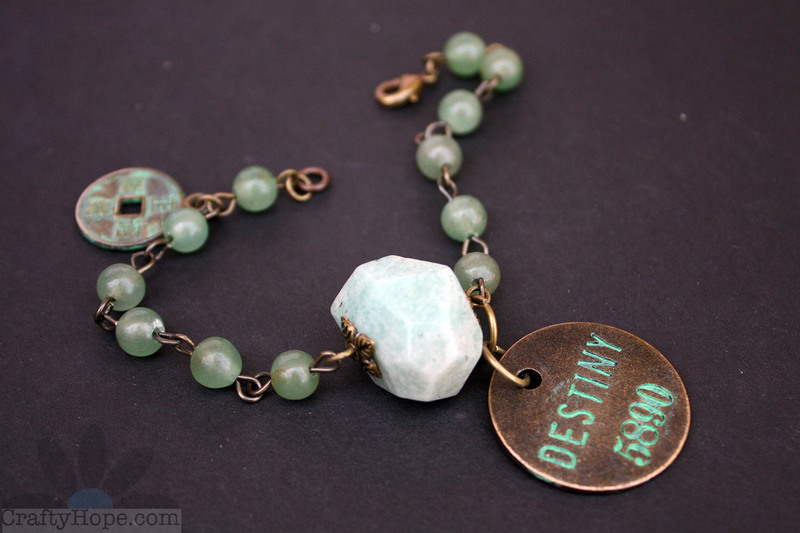 I know that jade and the coins have something to do with luck in Chinese culture, so the "destiny" charm, I thought, also worked well with these elements. I don't often make bracelets, but I was happy at how quickly this one came together. From there, I was drawn to the large crystal cubes with the AB coating on one side. I really loved the color spectrum when the cubes were turned just the right way and wanted to figure out some way to keep them set at the right angle so that those colors were always visible. I came up with the idea of backing them with pieces of tin and wiring them in position so they couldn't turn. Initially, I planned to keep the tin ovals flat, but it became apparent that that method was going to be more of a struggle than I wanted to deal with. 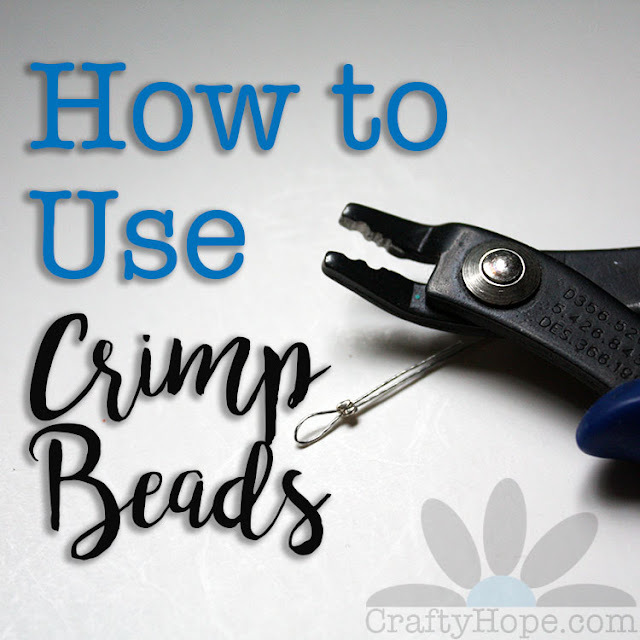 Instead, I curved the top and bottom of the ovals toward the beads so the punched holes were more accessible with the wire. Bonnie had included smaller similar-colored crystal cubes in her package, so I simply hung one from each of the bottom loops. The bottom crystals may not always show their colors, but the tops will! 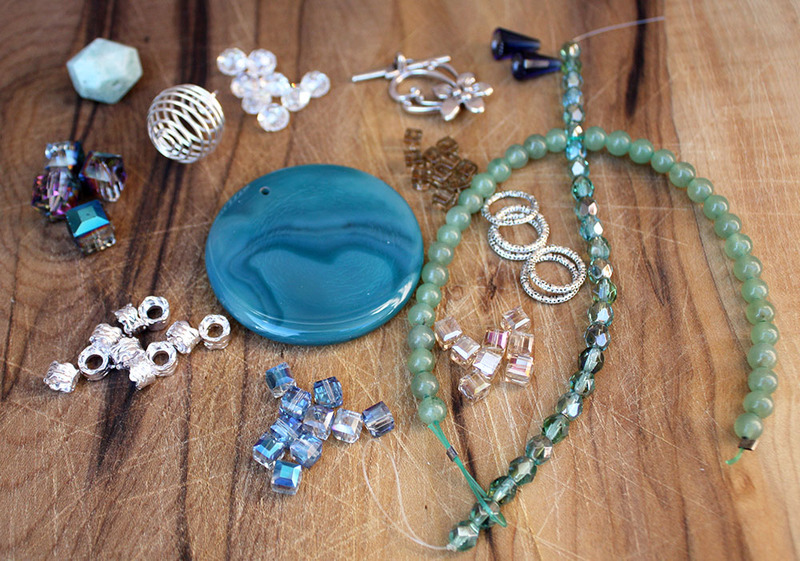 There were still so many beads left in the stash Bonnie sent, so I started playing with the decorative rings and some of the other crystal cubes. Before long, I had all five of the rings linked together and realized that it would make a great bracelet with the addition of a little something else. The idea of using sari silk to make it a wrap bracelet hit me, and there was no turning back. The toggle closure through one of the rings makes it easy to clasp. 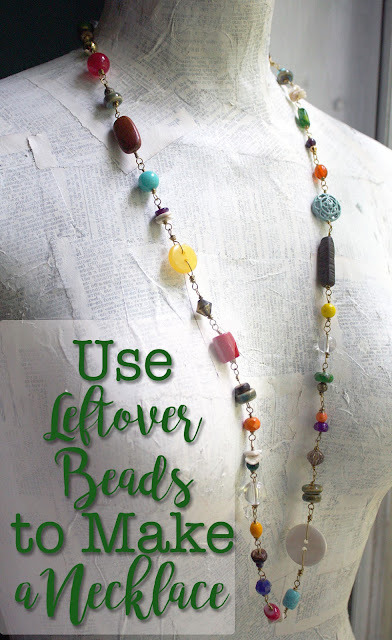 And, after making it, I realized that it can even be worn as a necklace! Awesome. And, I wasn't done yet. 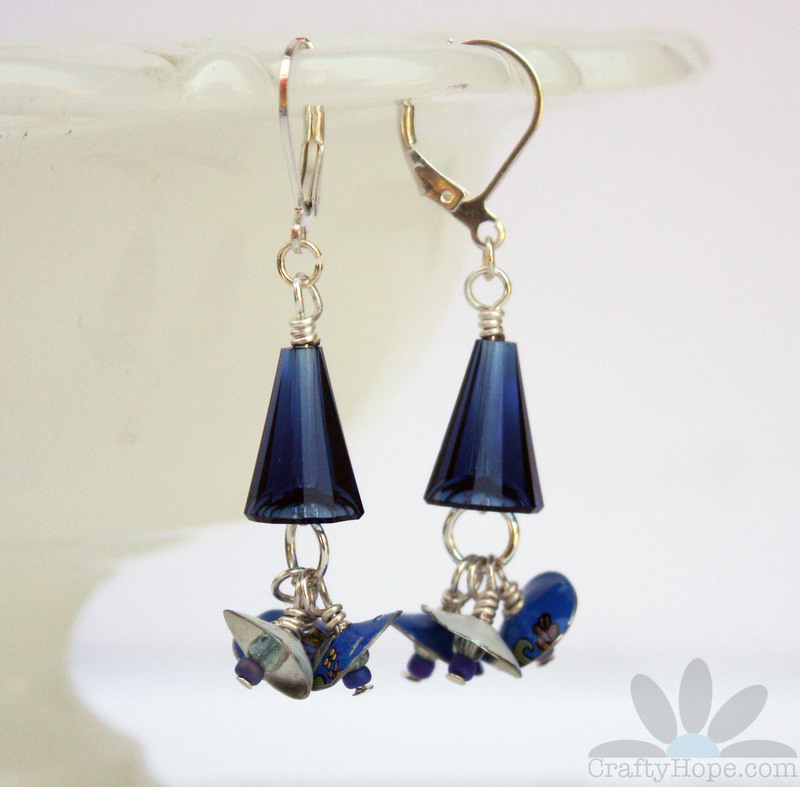 There were two dark blue crystal cones in the mix from Bonnie that kept drawing my eye. And, for me, whenever there's two of something, I immediately think of earrings. Since upcycling tin has been my go-to for jewelry designing lately, I knew I wanted to add a little more tin to this reveal. I used my dapping black to dome some small tin discs and added a few beads to the center of them to create little floral dangles from the cones. 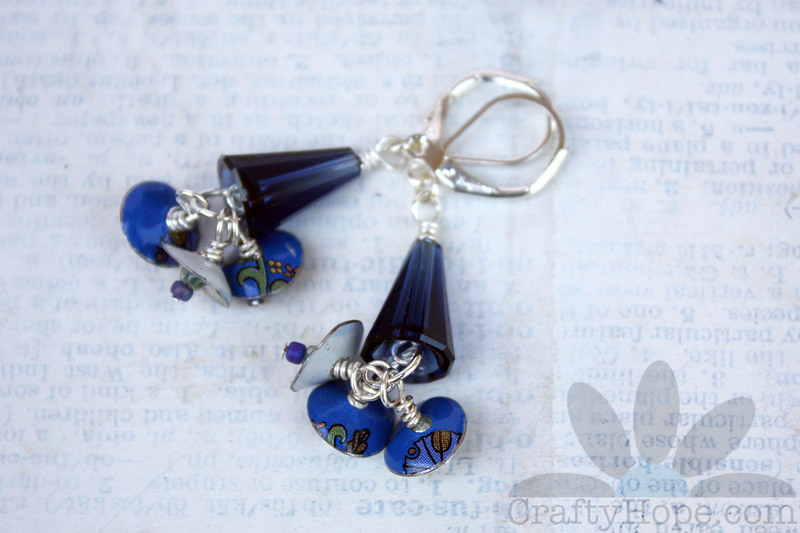 These have so much fun movement to them, and I can't resist the blue! 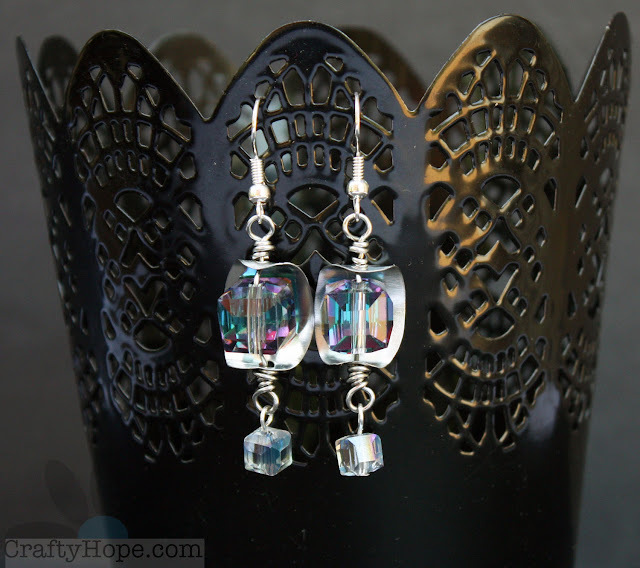 Once those earrings were done, I knew I was beginning to run short on time, especially since pictures needed to be taken, a video had to be edited, and this post needed to be written. So, I made myself stop. I do have a few ideas for the large stone pendant and am desperate to use that beautiful toggle clasp, but those designs will have to come later. I really enjoyed the challenge that Bonnie set before me. Who knew that a simple wire cage could be so boggling? I love that she got me thinking outside of the box with it. Thank you, Bonnie! Now, make sure to hop over to Bonnie's reveal on Instagram to see what she made with the package I sent her. And, don't forget that there's a whole list (below) of other artists participating in the Swap-N-Hop. I'm looking forward to seeing what inspired them and how they worked with what they received. Enjoy the hop! Beautiful creations Hope! I really love what you did with the bead cage. It is so pretty and on trend! 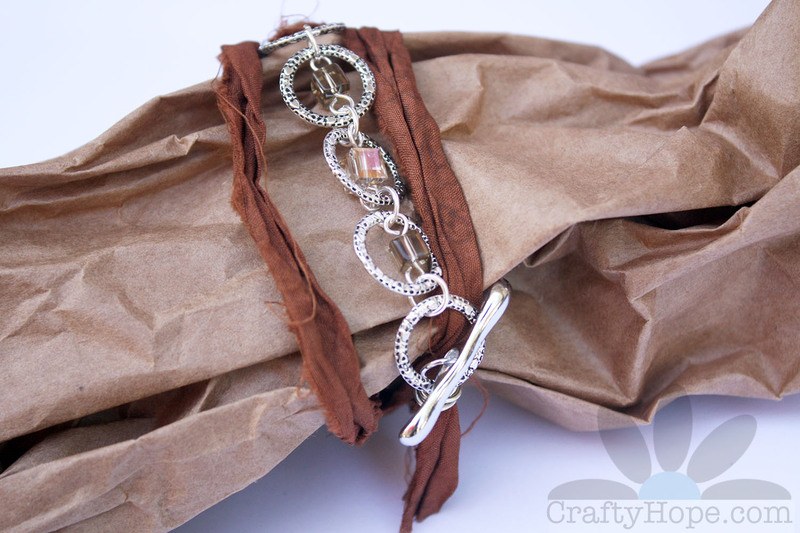 I also love the use of the 1 chunky bead in the bracelet. Wow! Your the design of the first necklace is amazing. I am not sure I would have been able to come up with the weaving on the bars of the cage if my life depended on it. Well done! The colors are great together and the necklace is really cute. Kathy, Thank you so much! It was a blessing that the weaving idea finally struck as I was leaning toward simply slipping some of the crystals in, or an odd-shaped bead, or something simple like that. Whew! I love thinking out of the box and challenges like this really allow me to do that. Thanks again! Beautiful!! Superb collection. So glad I don't have to pick just one piece as my favorite! 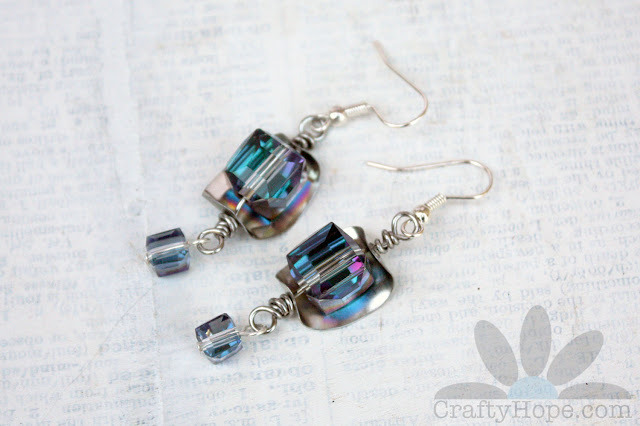 I love all your pieces but dang...the earrings with the cubes and tin are so adorable!!! I bet they would sparkle so much out in the sun!!! Sam, Oh, yay! I'm so glad you like those. I was worried it was too weird that I wanted then to face in one direction only. Ha! Thanks for the reassurance. Excellent use of your Swap contents - all the designs are wonderful. 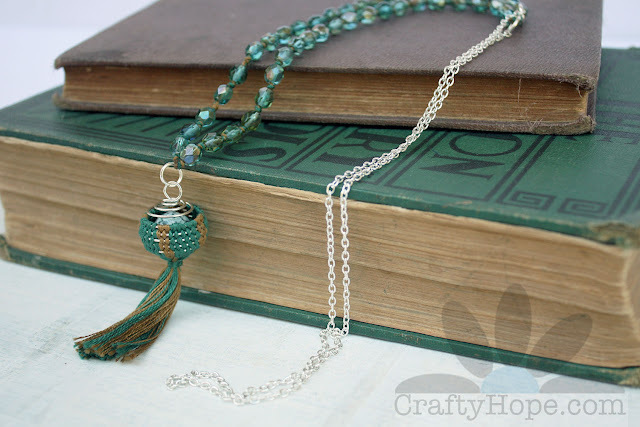 I adore the woven tassel you created with that wire cage. Brilliant idea. Thanks, Tammy! It was a struggle at times to get everything to work the way I wanted, but it wouldn't be a challenge otherwise! I appreciate you taking the time to hop by! You have done absolutely fantastic job with limited supplies. The idea to use weaving on a wire cage is unique and it produces a a striking pendant. 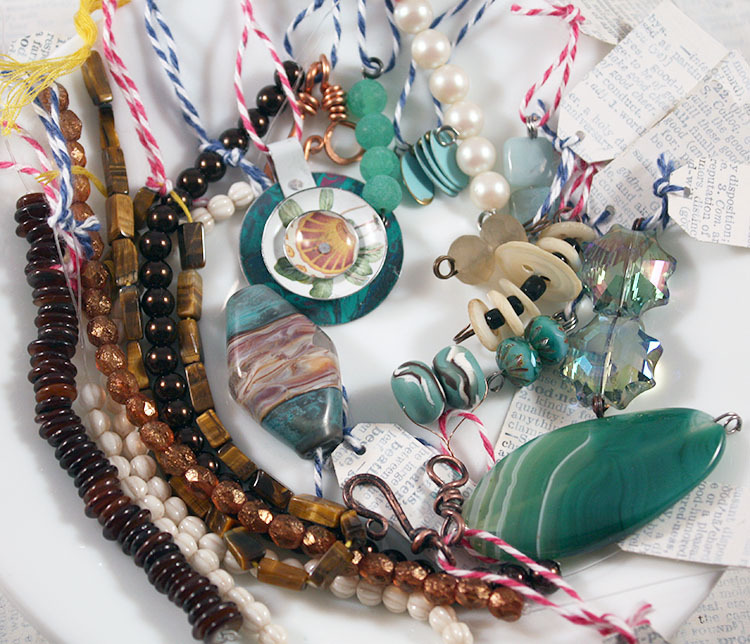 Your jewellery is always so detailed and I find tin bead caps and patina in the charm as nice touches. Fabulous use of what you received. I loved what you did with the cage. Very different designs. Thanks so much! I appreciate you hopping by! Looks like you had fun :), I love what you made. Thanks Lois. It was rough going at first, but once I got the initial inspiration, it was all fun from there. Enjoy the hop! Oh, Linda, THANK YOU! The video almost didn't come together. When I went to edit it, I realized that it was far, far too long. That's why there's a voice-over, weird editing, and you can see my hands moving like I'm talking. Ha! 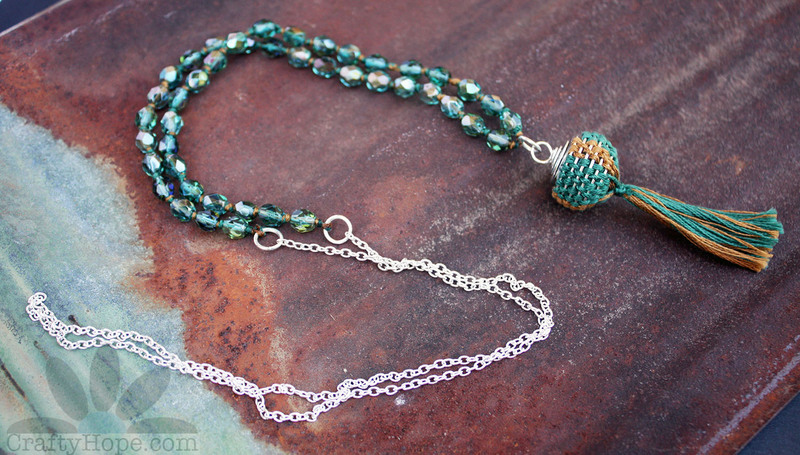 But, I really wanted to show how I wove the cage and created the necklace. So, I made it happen in the final hours! As for adding the fiber, like I said, I needed something more solid to fit with my aesthetic. Once I hit that idea, there was no turning back. Yeah, those oval earrings are so yum. Thank you for organizing everything and keeping us hopping! I always love a good blog hop! Beautiful designs! Your idea for the wire cage was perfection. I also love that you videoed the process to share! Thanks so much Kari. I was definitely stumped by the cage, but so relieved to have flexed my creativity and found a way to work with it!